SOME HONEY VIDEOS COMING SOON! Hello – my name is Honey. Yes, that’s really my name. 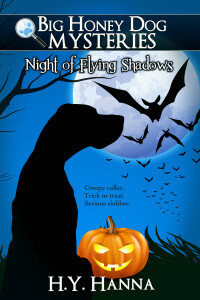 See, I’m the doggie who inspired the Big Honey Dog Mysteries, written by my human, H.Y. Hanna. Everybody who meets me always thinks that I’m a boy doggie and calls me things like “big fella!” but I don’t mind too much. I don’t like it when they call me a “horse” though or say stuff like: “you should put a saddle on that thing!”. I don’t think those jokes are very funny. Humph. I was born in New Zealand so I’m a Kiwi doggie – and I lived there for a long time, before I moved with my family to live in Australia. 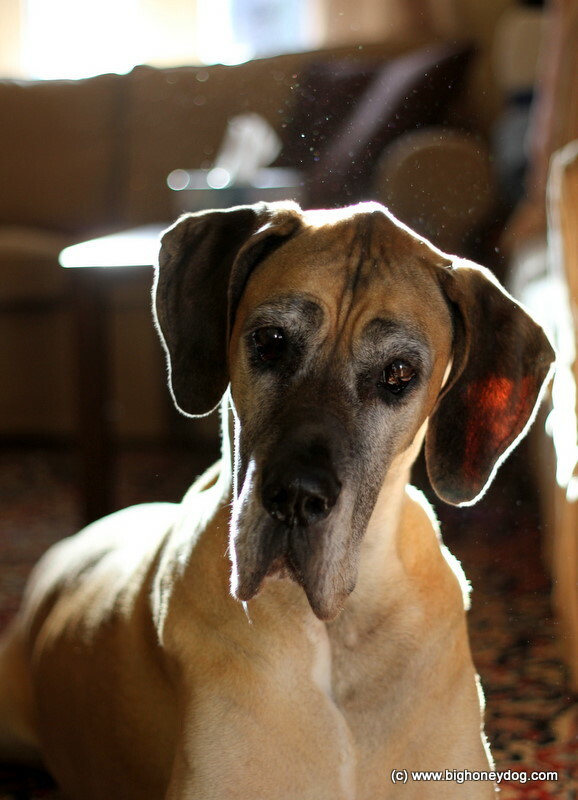 I’m 10 years old now, which is pretty old for a Great Dane (that’s like over 90 years old in human years) – so I’m enjoying my retirement and taking it easy. I also lost an eye to canine glaucoma last year, so I’m blind on one side now and you might notice in recent photos that I only have one eye. But don’t worry – that hasn’t stopped me from having fun! 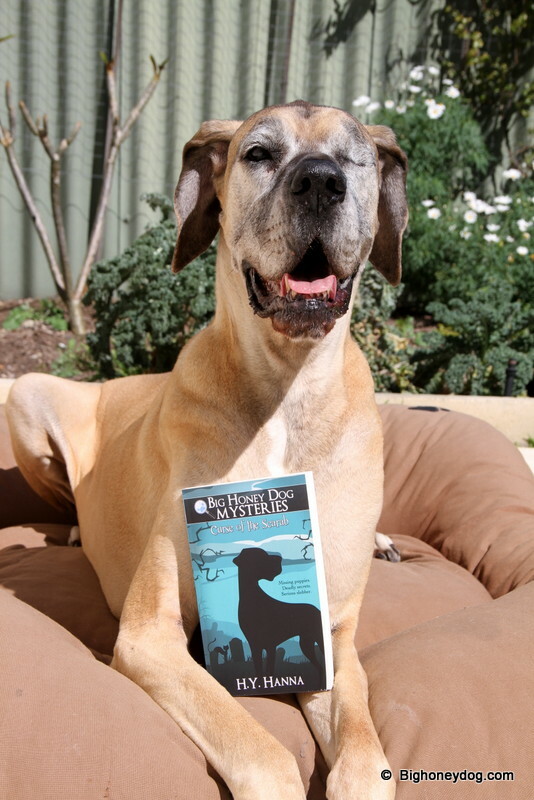 I’ve been helping lots with the writing and revisions and editing of the Big Honey Dog Mysteries… especially with the detailed research on “serious slobber”. 😉 I’m a bit grumpy, though, because my human didn’t give me a superpower in the story. Even though I asked lots of times. ps. 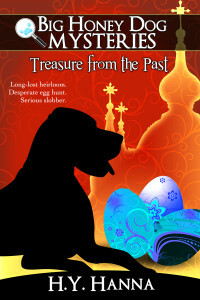 FROM MY HUMAN: if you’re looking for Honey’s Blog, it is currently deactivated – but I will hopefully be republishing the most popular posts soon, here on the Big Honey Dog Mysteries website. I’ve been following Honey’s blog for a while now. I can’t get enough of all the wonderful writing, stories, and yes, even learning, that is shared there. The first book in this series isn’t even out yet, but I’m very excited to read these books myself (yes, as an adult) and share them with all my nieces and nephews and other family and friends. Can’t wait!!! Although I only been following Honey’s blog for a couple of years now, I too have fallen in love with this gentle breed! Can’t wait to read the book and hoping all goes well with the release!! Good Luck! Honey and Hsin-Yi, I can’t wait to see the final draft! 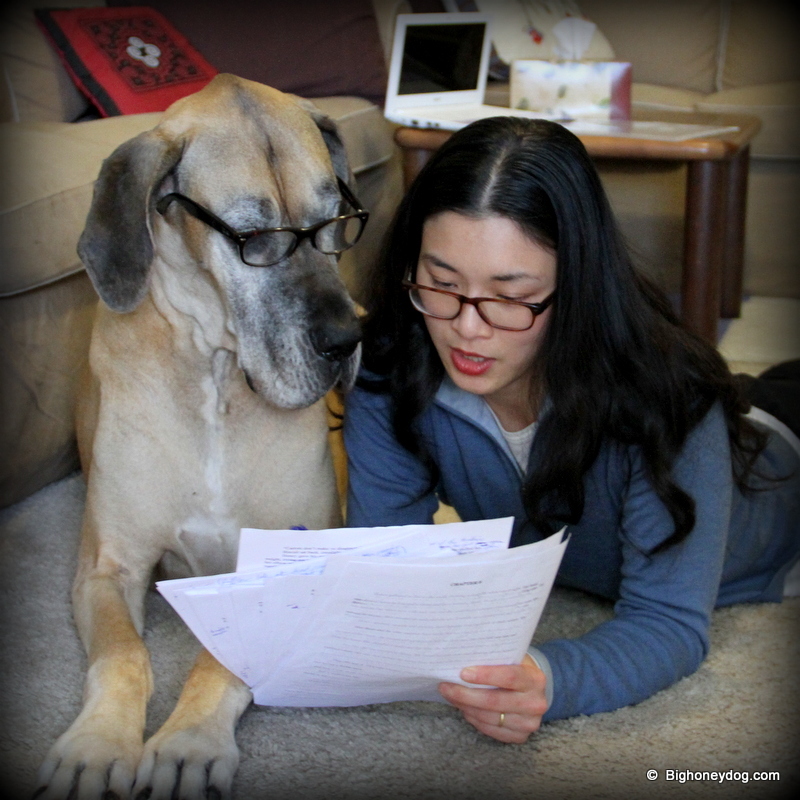 Mackenzie and I thoroughly enjoyed beta reading before it was published….. I just finished both Honey Dog books and I’m hooked! I can’t wait for more. Just finished Curse of the scarab and Message in a bubble, in one day! When’s the next book? I just finished the first book and its was great. I love dogs and have several of my own. None quite as big as Honey though. 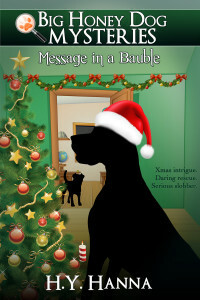 I have bought Message in a Bauble and cant wait to start reading. I’ve fallen in love with the Honey videos. I just have to ask, what happened to Lemon? I cried like a baby at the end of the video of her and Honey. I could see the love they shared and could only think that Honey would be broken-hearted without her companion. And now I cry for Honey too after hearing that she too has passed. I am so sorry that she has moved on.